GENIUS NY, the world’s largest accelerator of unmanned systems, is awarding up to $2 million in grand prizes during its 12-month in-residence business competition and accelerator program at The Tech Garden in downtown Syracuse in 2017. Start-ups specializing in unmanned aerial, ground, marine and data-to-decision systems will compete to shape the future of an emerging industry. The program will award three grand prizes of up to $1 million, $600,000 and $400,000 with opportunities for follow-on funding. The program also features company stipends, housing, resources, programming and powerful mentorship networks to competitors during the competition. The College of Engineering and Computer Science and The Tech Garden will host an info session on campus in 220 Link Hall on Tuesday, Sept. 6, at 4 p.m. to provide further details and answer questions for anyone interested in applying for the competition or learning about GENIUS NY internship opportunities. Pizza will be served. Applications are now being accepted. 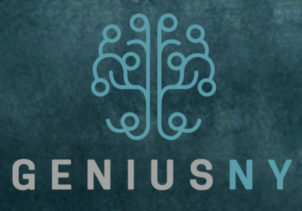 Visit www.geniusny.com for complete details.